Dr. Octaviana V. Trujillo has worked over the past three decades in the area of educational program development for Indigenous Peoples. She was the founding Director of the American Indian Graduate Center at the University of Arizona, where she later was Assistant Professor in the Department of Language, Reading and Culture and affiliated faculty with American Indian Studies. 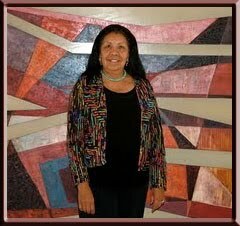 In 1994, Dr. Trujillo became the first woman to become chairman of the Pascua Yaqui Tribe of Arizona. During her tenured leadership, she established the first department of education for the Tribal Nation and shepherded state and national legislation. Dr. Trujillo subsequently served at Arizona State University as Director of the Center for Indian Education and editor of the Journal of American Indian Education, the nation’s longest continually published refereed research journal on Native education. During her tenure there, she secured extramural research funding that quadrupled ASU’s Native education research, preparation of Native teachers and graduate students for the professorate. She served as the principal investigator of US Office of Educational Research and Improvement (OERI) funded Native educator’s research project, Native Educators: Interface with Culture and Languages in Schooling, to explicate the programmatic elements within diverse teacher preparation programs that prepare Native pre-servce teachers to effectively situate their teaching within the cultural context of their students’ lives. Her interest in peace and human rights advocacy has included work in the Middle East, Mexico, Northern Ireland, Colombia, Ecuador and Bolivia. Dr. Trujillo is the founding chair of the Applied Indigenous Studies Department at Northern Arizona University. She is principal investigator of the National Science Foundation grant, Research Collaborative: Native Science Curriculum. Her work on Yaqui ethnohistory and laguage policy has produced work in three languages and includes publications Hiapsi Wami Seewam: Flowers of Life and The Yaqui: A People and Their Place. Most recently, she has worked with the United Nations and US Department of State, Fulbright Program with Indigenous Peoples human rights and leadership development. § Trujillo, O. V., (2007). Sacred Sites and Urban Landscapes, Proceedings of UN Habitat Expert Meeting on International Expert Group Meeting on Urban Indigenous Peoples and Migration. Santiago, Chile. § Trujillo, O. V., Monti, L.., & Jarratt-Ziemski, K. (2006). The sacred sites and gathering grounds initiative: Strategies for protecting traditional native places on federal, state, and private lands, Proceedings of the International Symposium on Conserving Cultural and Biological Diversity: The Role of Sacred Natural Sites and Cultural Landscapes.(pp. 126-128, 312) Tokyo, Japan, May 30-June 2, 2005, France: UNESCO, Division of Ecological and Earth Science. § Trujillo, O. V., (2005). A report on the status of American Indians and Alaskan Natives in Education: Historical legacy to cultural empowerment, Monograph Series, National Education Association, Washington DC. § Trujillo, O. V. (2005). Reclaiming American Indian studies, Wicazo Sa Review: A Journal of Native American Studies, Special Issue on Colonization & Decolonization, 20 (1), 189-197. § Trujillo, O. V. (2005). Sovereignty of indigenous education: Our voice in Native language, culture and literacy, Proceedings of Annual National Conference on Race & Ethnicity in American Higher Education, New York, NY. § Trujillo, O. V. et al. (2004). An enduring people: The Yaqui community of Scottsdale, Arizona. City of Scottsdale Press. § Trujillo, O. V. (2004). Contributor, personal reflections in lifeways In Wilma Mankiller, Every Day is a Good Day: Reflections bt Contemporary Indigenous Women, (pp. 27-28, 61, 93, 107, 137, 162-163, 210). Golden, Colorado: Fulcrum Publishing. § Trujillo, O. V. (2004). Yaqui traditional knowledge: Our voice in the desert, Proceedings of A Public Forum on Knowledge, Community and the Desert, Charles Darwin University, Araluen Centre, Alice Springs, Australia. § Reyhner, J., Trujillo, O. V. et al. (Eds.) (2003). Nurturing Native languages. Flagstaff, Arizona: Northern Arizona University. § Trujillo, O. V. et al. (2003). Native educators: Interface with culture and language in schooling, ISB4: Proceedings of the 4th International Symposium on Bilingualism, Somerville, MA: Cascadilla Press. § Trujillo, O. V. (2001). El trilingualismo Yaqui: Cómo aborda un pueblo indígena el desarollo del lenguaje y la alfabetización, Horizontes: Revista de Encuentro entre Sonora y Arizona, 6 (12), 26-44. § Trujillo, O. V. (2001). Yaqui cultural and linguistic evolution through a history of urbanization. In S. Lobo & K. Peters (Eds. ), American Indians and the Urban Experience, (pp. 49-70). Walnut Creek, California: Altamira Press. § Trujillo, O. V. & Shepherd, J. P. (1999). An enduring voice in American Indian education: The Arizona State University Center for Indian Education. Journal of American Indian Education, 38 (3), 19-33. § Trujillo, O. V. (1998). The Yaqui of Guadalupe, Arizona: A century of cultural survival through trilingualism. American Indian Culture and Research Journal, 22 (4), 67-88. § Trujillo, O. V. (1998). [Review of the book A good Cherokee, a good anthropologist: Papers in honor of Robert K. Thomas]. Journal of American Indian Education, 37, 34-36. § Trujillo, O. V. (1997). A tribal approach to language and literacy in a trilingual setting. In J Reyhner (Ed. ), Teaching Indigenous Languages (pp. 10-21). Flagstaff, Arizona: Northern Arizona University. § Trujillo, O. V. (1996). Double edged sword. In Women Who Don’t Sell Out, L. Fulani (Ed. ), pp. 152-157. New York, NY: Castillo International. § Trujillo, O. V. (1995). Hiapsi Wami Seewam: Flowers of Life, Phoenix, AZ: Atlatl. § Trujillo, O. V. (1992). Guadalupe: Conflict and civil rights in a tricultural setting. In G. Bataille (Ed. ), Martin Luther King: Living the Dream, pp. 21-25. Tempe, AZ. § Trujillo, O. V. et al. (1991). Multicultural Setting, Arts Programming and Community Involvement, Scope, Arizona Association for Supervision and Curriculum Development, Volume 91, Number 3. § Trujillo, O. V. et al. (1983). The Yaqui: A People and Their Place, Arizona Humanities Council, Pueblo Grande Museum, Phoenix, Arizona. Consultant to Arts Genesis production, 2009. Consultant report to the Ford Foundation Indigenous Issues committee, 2008. Film consultant and interviewee for Native Americans and B & B production, 2008. UN Habitat for a Better Urban Future, 2007. UN Habitat, UN Office of the High Commissioner for Human Rights, 2007. Center for Indian Education, Arizona State University, 2006. National Foundation for the Improvement of Education, developed for secondary education and Tribal Colleges, 2005. US Department of Education, Grant # P116B010627 (2000-2005), 2004. Report to the American Friends Service Committee, National Relations Committee and Native American Task Force, 2002. Report to American Friends Service Committee, Latin American Panel and Native American Task Force on the local human rights situation, Cauca Indigenous Rights Council and the Indigenous Peoples Alliance of Ecuador, 1997. Final Report to US Department of Health and Human Services, University of Arizona, Tucson, AZ, 1995. National Foundation for the Improvement of Education, developed at Johnson Foundation Wingspread Conference Center, Racine, Wisconsin, Spring 1987. Arizona Department of Education, Indian Education Unit, Working Committee, Phoenix, AZ, 1986. Instructional guide for teachers working with Yaqui students, Tempe School District, Tempe, AZ, 1979. Filmstrip, Tempe School District, Tempe, AZ, 1978. Filmstrip, Tempe School District, Tempe, AZ, 1977. Slide show, Yaqui Headstart, Guadalupe, AZ, 1976.